In a clip from a forthcoming interview with Larry King, singer Dionne Warwick speaks out against Whitney, the recent documentary about the life of Whitney Houston, and its filmmakers’ decision to include sexual abuse allegations against Warwick’s late sister Dee Dee Warwick. In Whitney, Houston’s half-brother Gary Houston said both he and Whitney were molested as children by Dee Dee, their older cousin. Houston’s former assistant also told filmmakers that Whitney had confided in her about a childhood experience of abuse. Dee Dee Warwick died in 2008 and Whitney Houston in 2012, meaning the matter may rest here—publicly, at least. 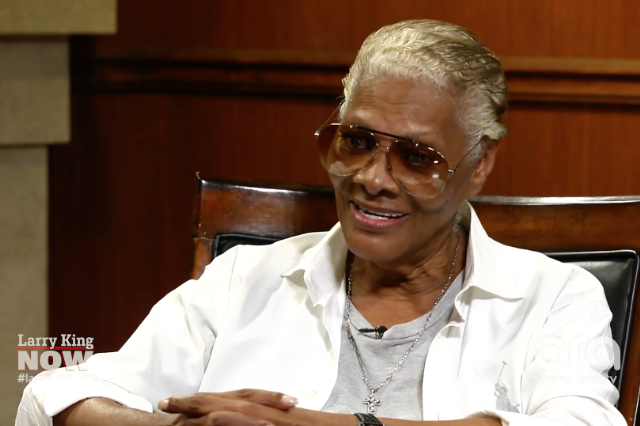 Watch a clip from Dionne Warwick’s upcoming television interview below. What the Hell Is Going on With This Bizarre Harvey Weinstein Interview?